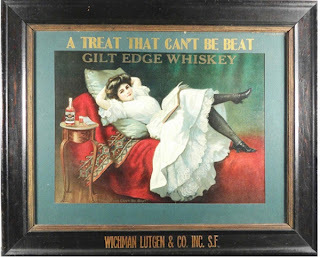 John Lutgen and his whiskey company had gone from success to success in San Francisco, moving each time to larger quarters and in 1906 occupied a spacious building at 29-31 Battery Street. A local writer had opined : "Their trade has been prosperous from the start, and has since extended not only throughout the State, but also throughout the coast, their establishment being one of the representative liquor houses of the Golden Gate City." 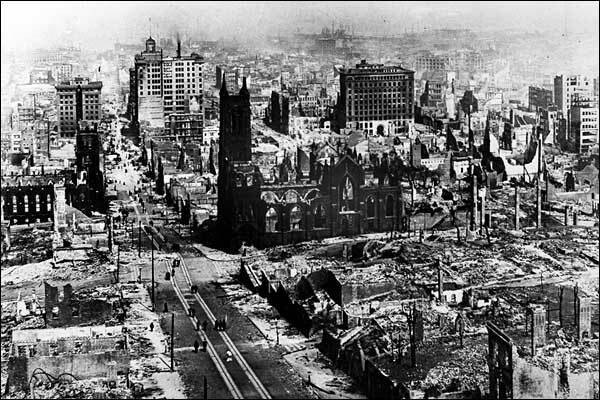 At 5:12 a.m. on the morning of Wednesday, April 18, 1906, one of the greatest natural disasters in American history struck San Francisco and all that changed radically. He also happened to have been the builder of a set of apartment building on Divisadero St, originally designed as a "Rooming House", and built in 1904 at a cost of $2,670. Thanks, Chris, for the additional information. Lutgen is an interesting character. "My great grandfather, John Diedrich Lutgens has created quite a challenge to find records regarding his immigration, naturalization and his parents and other ancestors. His death certificate states that he was born in 1859, while most census records state that he was born in 1853 or 1854 with his immigration year as 1874, or 1870, or 1864. Quite a difference! According to his death certificate, he was somewhere in America for 7 years before he settled in California for the rest of his life. 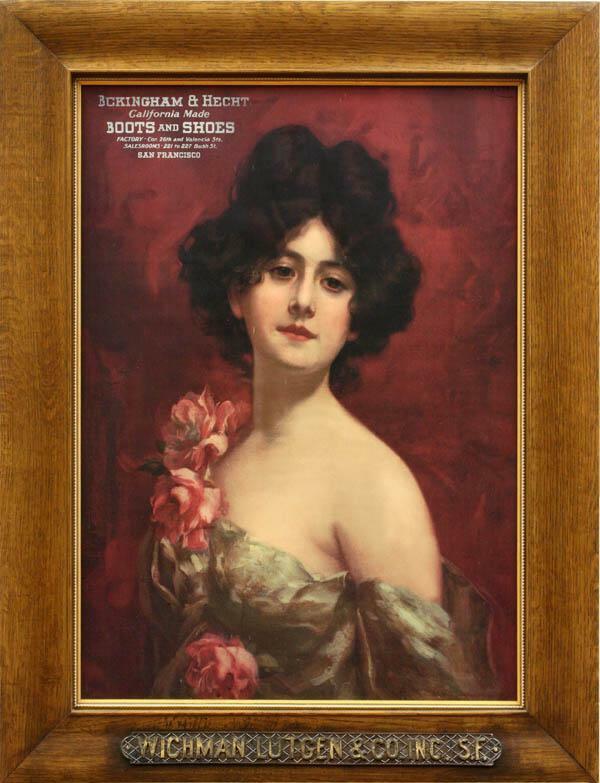 "Hope was renewed when my cousin Judy Crump Murdock had an ancestry DNA test done and a 5th cousin contacted her and did some research that found a Johann Diederich Luetjen that he thought might be him - however Johann was born about 80 years earlier - drat! "Anyway, "our" John Lutgens had worked at San Francisco breweries as a driver and indeed drove the old beer wagons with Clydesdales as the "engine". 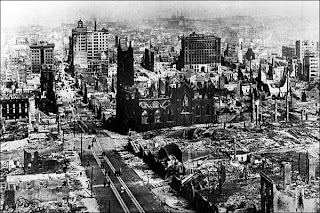 One family story states that his picture was in the deYoung Museum in San Francisco, but because he was German - the picture was removed during World War 2.So great grandfather - show yourself - let us know somehow where you were from and who your parents were - please!" Send me any info on related items. I cannot afford the 20K poster, but I'm interested in bottles, etc. 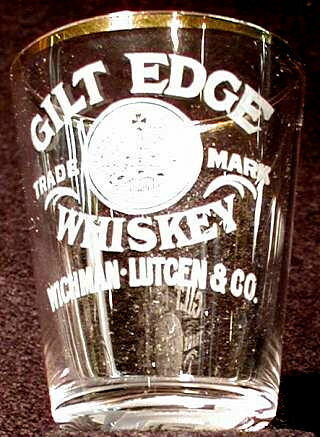 Wichman Lutgen, Gilt Edge, etc. Jerry: Thanks for your email. Unfortunately I do not have anything to sell. Actually own nothing of Lutgen's artifacts. 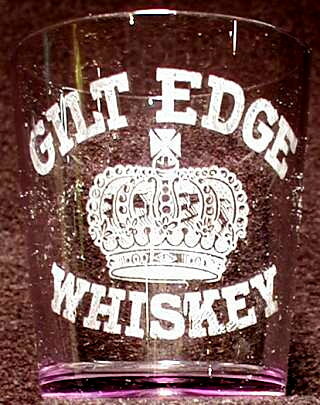 For the most part I do not sell whiskey related items these days. 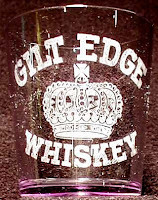 My activities are largely devoted to writing about the whiskey men who made them. Jack, I should have explained more in my earlier posts to show why I'm so interested. I own the Julia Morgan house (Hearst Castle architect) that Fred Staude, Lutgen's son-in-law, had built in 1910. He became President of the company when Lutgen retired in 1912. Unfortunately Staude jumped in 1920 when prohibition destroyed his livelihood. His widow, Louisa Lutgen, lived here until her death in 1960. Maiden grand daughter, Lucille, until 1964. See the Legacy link at www.1901Central.com for a history. 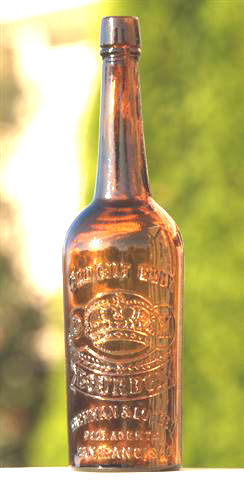 I found many empty bottles in the basement crawlspace - 1893 Mouton Rothschild Bordeaux, 1865 Julius Laissen Cognac, etc..And one bottle has never been opened; an 1885 Brizard Crème de Menthe. It's about a quarter down from weeping thru the cork and foil. If you'd like photos, let me know. Your research and website is a great resource. 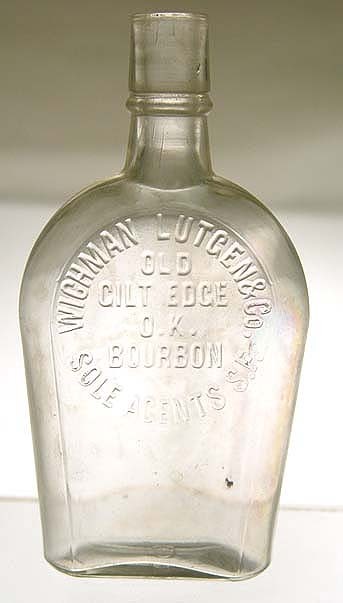 I seek any Wichman, Lutgen items your readers may turn up.